Adeboyejo (upper leg) was placed on the PUP list Friday. Analysis: Adeboyejo has been sidelined since May, when he underwent a surgery to repair an upper leg muscle. The wideout will miss at least the first six games of the regular season as he works to get healthy. Adeboyejo (upper leg) is expected to start the regular season on the PUP list, Jamison Hensley of ESPN.com reports. Analysis: Adeboyejo underwent surgery back in May to repair an upper leg muscle and has been sidelined since. 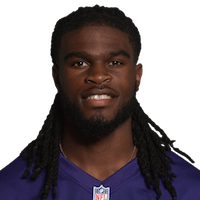 With head coach John Harbaugh not expecting the wideout to be medically cleared before the start of the season, Adeboyejo would be slated to miss the first six games. Adeboyejo will have surgery to repair an upper leg muscle and begin training camp on the Physically Unable to Perform list, Jeff Zrebiec of The Baltimore Sun reports. Analysis: Adeboyejo spent most of last season on the team's practice squad before being called up for the final game of the regular season. The wideout was in line to potentially compete for a backup job in the Ravens' passing game, but this setback could lead to Adeboyejo being left off the final roster. 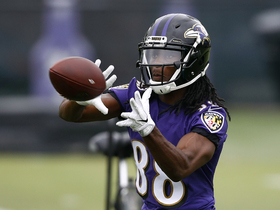 NFL Network's Aditi Kinkhabwala talks about the Ravens wide receivers that could step up and help wide receiver Mike Wallace this season.